WWE Columbus tickets are on sale now. You'll discover a fantastic WWE ticket selection here. When the WWE comes to Columbus, OH, you can expect to see some of the best professional wrestlers in the world so book your tickets now. Our ticket prices for any of the WWE's tour dates are excellent and we're committed to getting you into the best seats to enjoy the live wrestling event. Search through our large selection of tickets and locate and purchase your seats for the Columbus, Ohio WWE tour stop here. The types of WWE Schottenstein Center seating that is usually available here include: ringside seats, club seats, VIP seating, upper and lower concourse tickets, grandstand, luxury suites, e-tickets, and cheap WWE Schottenstein Center tickets. 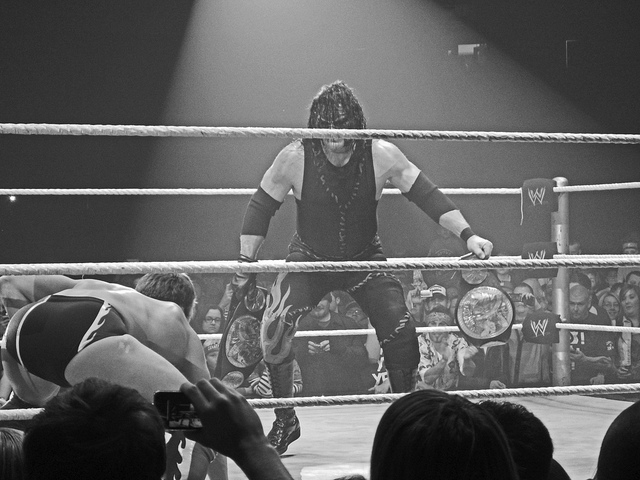 And next time you want to go to any live WWE event in Columbus, shop here at ClickitTicket. World Wrestling Entertainment ticket prices may be above or below face value and can fluctuate but we try to keep our prices as cheap as possible. To find the current Columbus WWE ticket pricing, click the red 'Tickets' button above. You can choose either standard or express delivery and you can specify special delivery instructions if necessary. Your WWE Columbus, Ohio tickets will be shipped to you using Federal Express. Also, some WWE tickets may be available for immediate download as e-tickets, or electronic tickets.